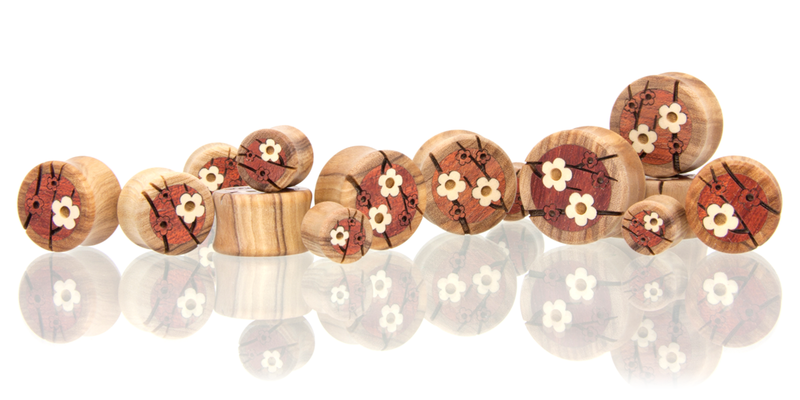 The cherry blossom is a Japanese symbol of good fortune. 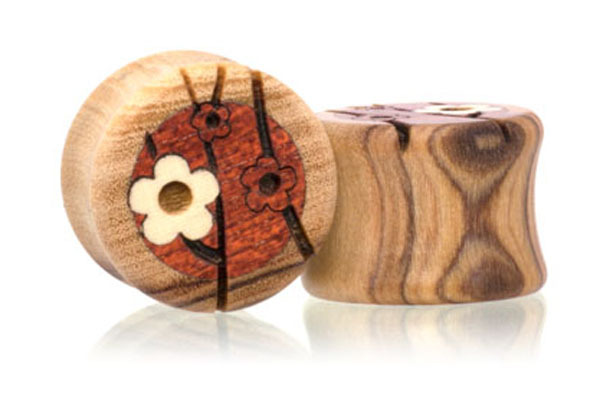 These plugs are made of Wild Olive with deep-red Bloodwood inlays highlighted by bright Holly flower inlays. 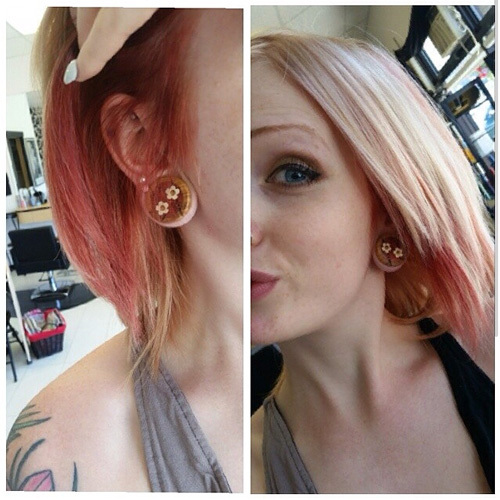 To ensure you receive the best looking plugs possible, we have created this design in three versions to best fit the sizing of the plugs. 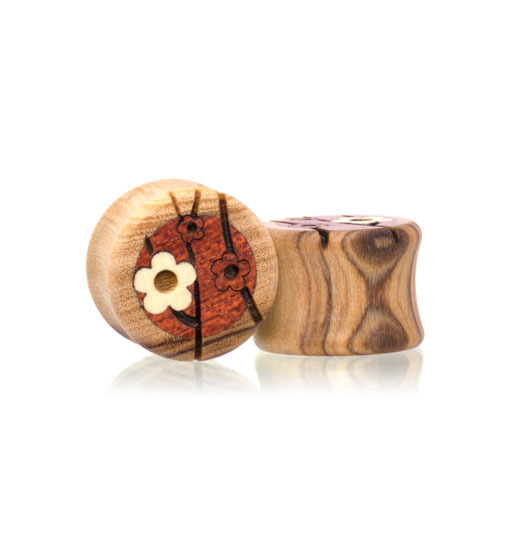 We hope these cherry blossom plugs bring you peace and tranquility.